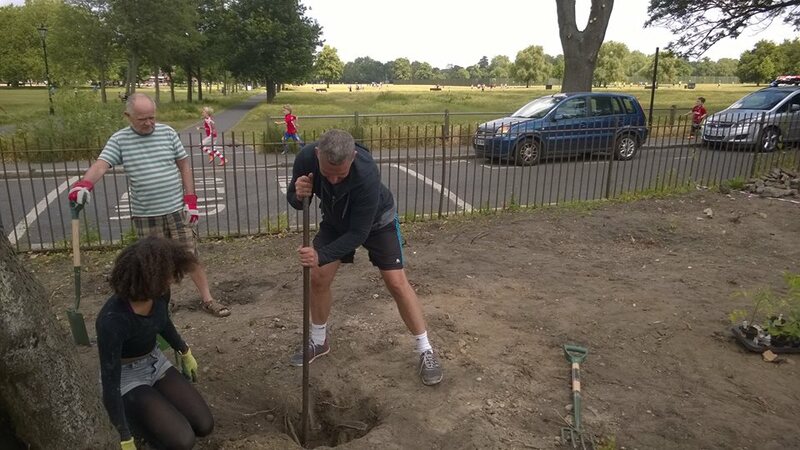 We had an amazing turnout of people come along to our Capital Clean-up Pick-nic event at the Green Waste Depot on Clapham Common on 27 June. We picked up all manner of things from crisp bags to half-buried bottles and broken ceramic pots, and a couple of old shoes. Both left feet. Unfortunately no buried treasure, despite Simon’s best efforts to dig deep and find some. 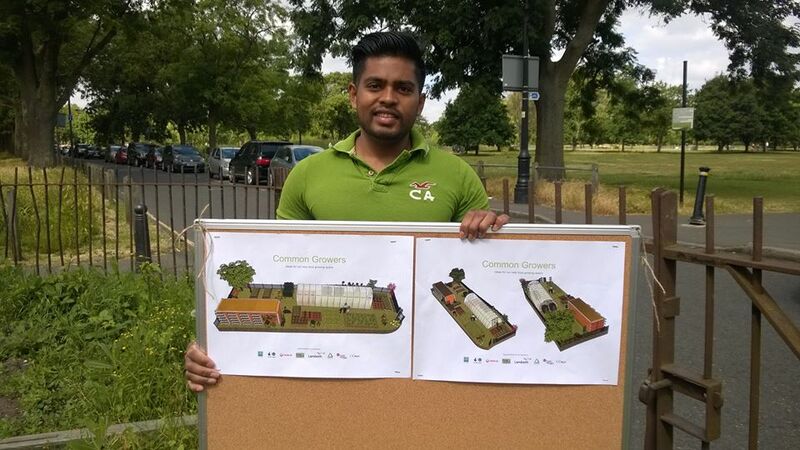 Lots of people stopped by to see what we were doing and find out more about the Clapham Common Growing project and have a look at the Amrit’s fantastic garden design. 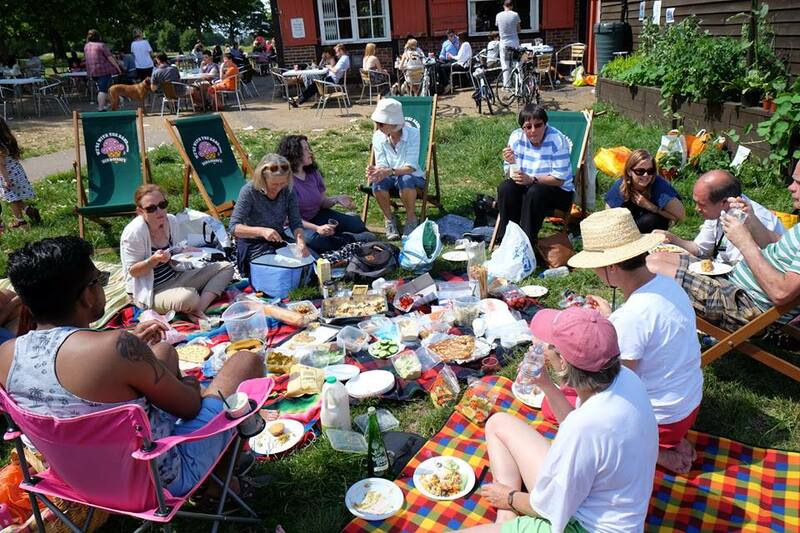 In the afternoon we all made our way over to the Bandstand for our bring and share picnic, and sat down to a fantastic spread. Most of the food had been made from our home-grown produce, including bean quiches and fritters, rhubarb cake and rhubarb lassi, gorgeous gooseberry fool and loads more. Truly scrumptious! And all washed down with a glass of prosecco to toast the day! What next? 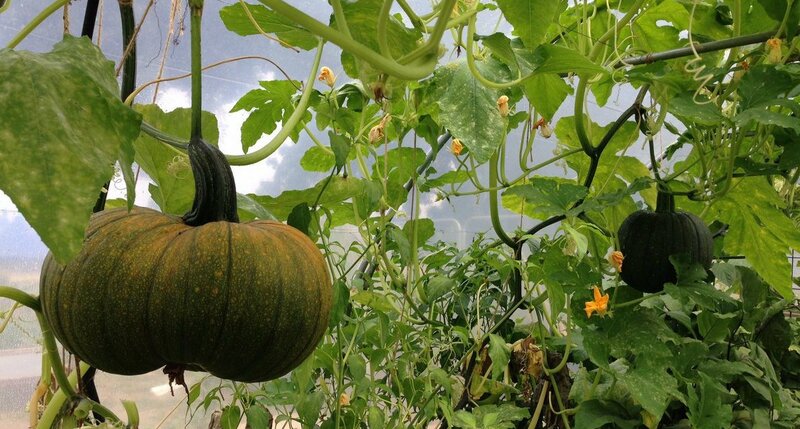 The polytunnel is being installed on Monday 27 July, so look out for it. 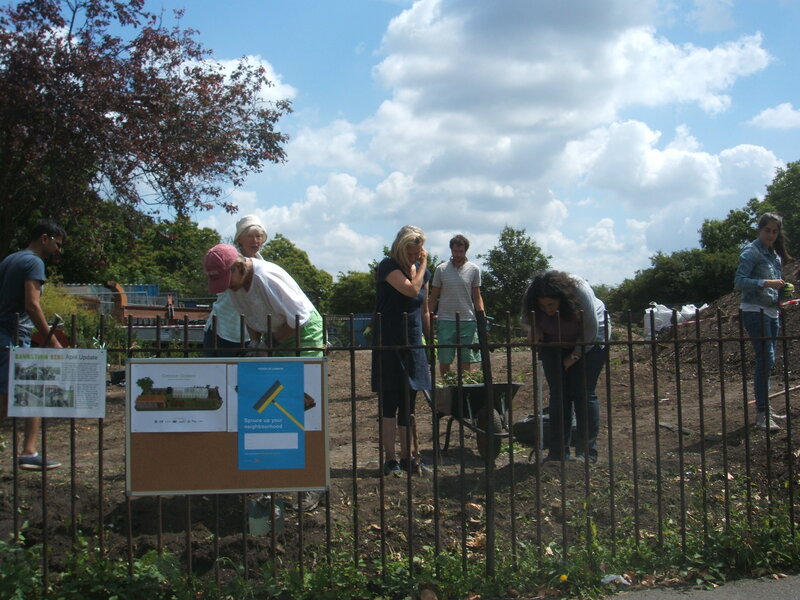 And then on 1 August we plan to build the staging to go inside the polytunnel and to plant out some fruit bushes on the site. Fancy coming along to help? You’ll be rewarded with another bring and share picnic. Jul 13, 2015 | Posted by admin in Uncategorized | Comments Off on Litterpickin’ good!